Did you get your Websaver.ca coupon for the free box of Special K cereal? I got mine today, and inside was another offer! Even if you didn't get the coupon, this might work for you as well, if you paid for both boxes? When you use your free product coupon, buy a second box of Special K cereal - or two boxes of Special K snacks, and get a free limited edition exercise mat! 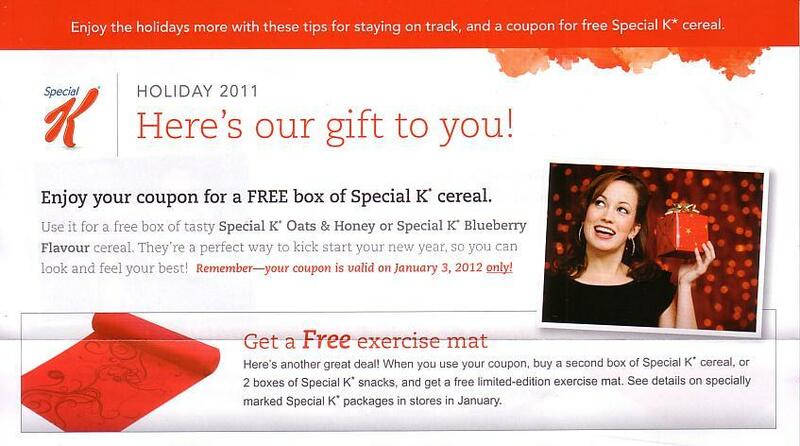 See further details on specially marked Special K packages in stores in January!